Clifton Taylor joined the Sudler team in 2014 after managing large residential properties in Atlanta. Since then, he has managed high-rise properties across Chicago. Cliff enjoys applying his experience coordinating capital projects, implementing cost saving solutions, and encouraging owner-participation. Recognizing that each association has unique needs and challenges, Cliff works hand-in-hand with association boards, employees, vendors, and owners to deliver on high expectations in an ever-changing environment. In keeping with Sudler tradition, he is personally committed to excellent customer service. In Cliff’s mind, "no job is too small" and "it’s a pleasure to do it" are not slogans, they’re essentials. Born and raised in Chicago, and an avid Bears fan, it’s only fitting that Cliff’s favorite quote comes from George Halas: "Nobody who ever gave his best regretted it." He applies this mentality to his life, work, and relationships. Cliff is a Certified Manager of Community Associations (CMCA). 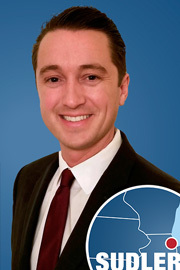 He is also a licensed Community Association Manager (CAM) in Illinois. In his free time, Cliff enjoys cooking for family, and watching the Chicago Blackhawks attempt to hoist yet another Stanley Cup banner into the United Center rafters.